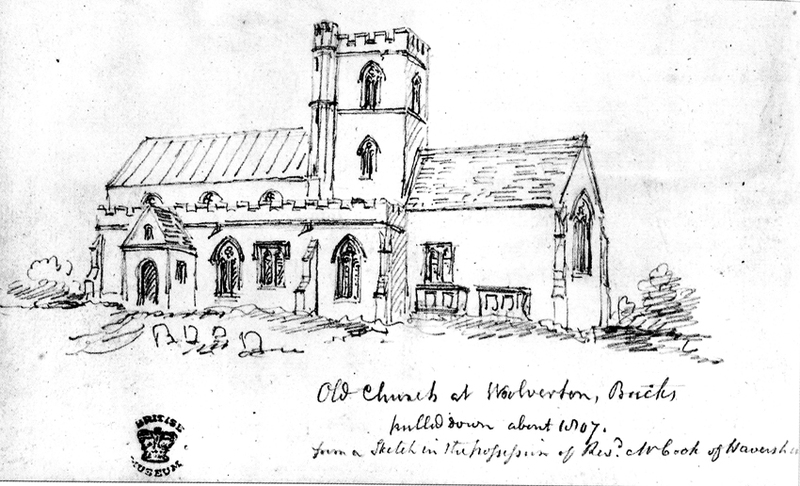 We do not know when the first Christian Church was built on the Wolverton Manor. No archaeological evidence so far has been uncovered that might help to answer this question, and there are certainly no written records. We know that the Christian mission form Rome began in 597 in Kent and it is probable that Christianity spread to Wolverton in the 7th century AD. The early establishments were minsters (from the Latin monasterium) which provided a base for monks to travel outwards on their missionary work. There is no evidence of a Minster near Wolverton. The nearest in Buckinghamshire was at Wing. In Northamptonshire there was one at Higham Ferrers, although not, apparently, at Northampton and another was established in Bedford. The spiritual needs of North Bucks were probably served by one or other of these minsters until the establishment of a church. As far as this establishment is concerned we can only guess. Saxon church foundations that do survive date, from the 10th and 11th centuries, but it is likely that as Christianity embedded itself some sort of local building was erected to serve the needs of the population. The best guess is that it was a wooden building and in the case of Wolverton it is a reasonable assumption that it was close to the present church of Holy Trinity. What the structure resembled is again pure speculation. Not all Saxon churches, for example, were complete buildings. Some merely provded some cover for the altar while the congregation gathered in the open air. Later buildings were more complete, but were usually modest buildings. 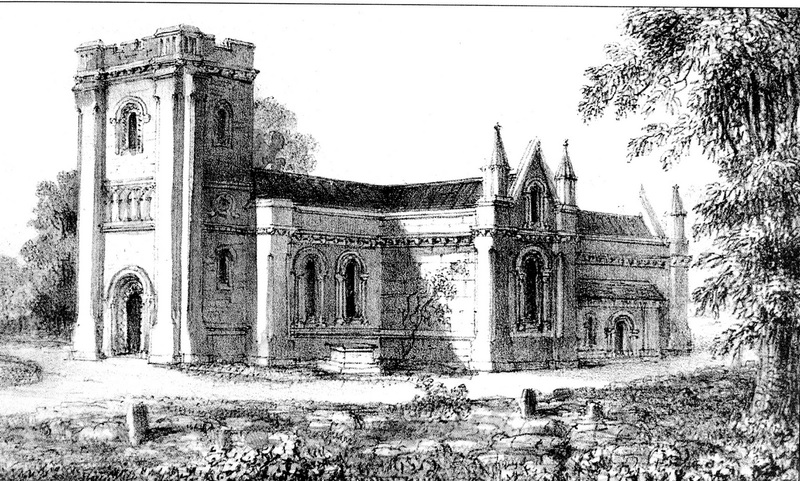 I imagine that Wolverton’s church, serving a population of no more than 200, was an unpretentious structure. 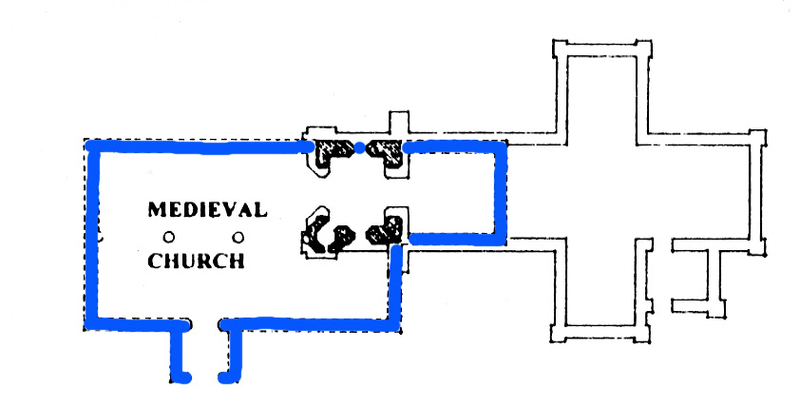 Church building only became something that we would recognize as a church after the Norman conquest. The Normans were aggressive and ambitious church builders and most of the cathedrals and churches that we now recognize date from the post Norman period where grand impressive architecture was an imperative. It was a matter of prestige for the new landowners, so it is probable that Mainou, the new baron, built a new church once he became established. There is however, no record that would confirm this.